A comprehensive blend of vitamins, minerals and other nutritional factors that support proper body functioning. Includes two forms of vitamin B-6, but potencies are less than are in Super Nu-Thera®. Hypoallergenic. Gluten and casein free. Capsules are plant cellulose. Ultra Tested®. 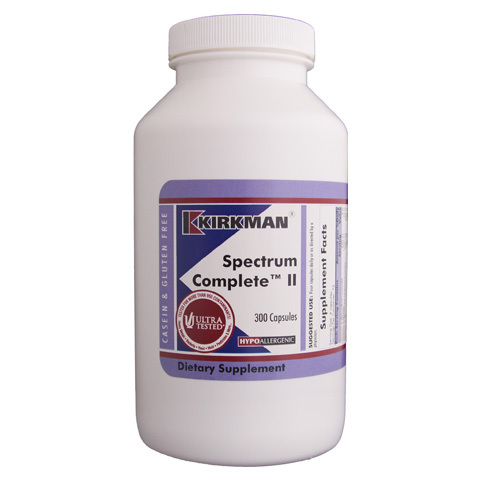 Spectrum CompleteTM II is a comprehensive nutritional supplement that incorporates a wide spectrum of vitamins, minerals and other nutrients.